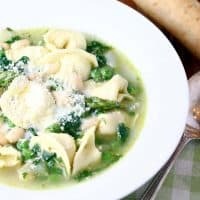 SPRING MINESTRONE WITH TORTELLINI — A pesto infused broth is loaded with spring vegetables, beans and tortellini in this light but filling Spring Minestrone with Tortellini soup. Even though the weather is warming up here in Colorado, I know we’ve still got a few cold, snowy days in our future, and this Spring Minestrone with Tortellini is the perfect soup for serving this time of year. 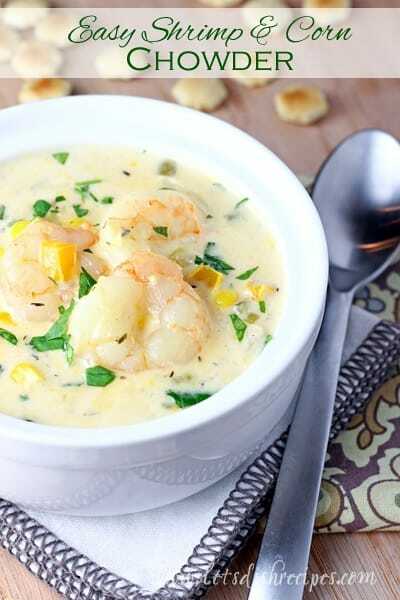 I always like to have a few lighter spring soup recipes handy, and this one is definitely my favorite. 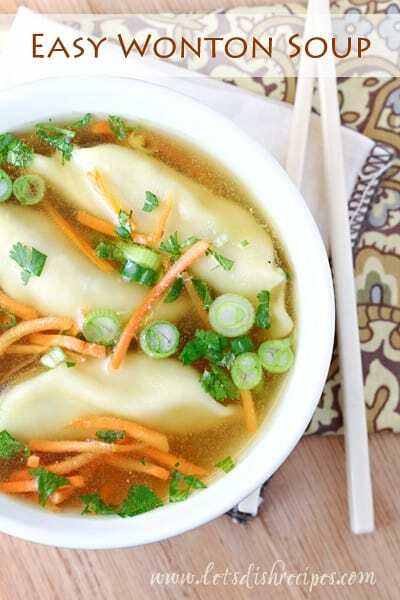 It’s loaded with green veggies, which gives the soup such a great, fresh color. And the white beans and tortellini make it a hearty, filling meal. Even better, all of the ingredients cook up in to time, which means you can have this soup on the table in about twenty minutes! With some breadsticks or crusty bread, it’s the perfect meal for busy weeknights. Delicious and nutritious! You can also change up the veggies in the soup to use what you have on hand, although I try to stick with green vegetables, purely for presentation sake. Zucchini is a great choice, but my family doesn’t care for it. Green beans are another good option. In fact, my 16 year-old said he would have preferred green beans to asparagus. Feel free to switch up the herbs too. And you don’t have to swap one for the other–feel free to include all the green vegetables and herbs you want! A big dollop of pesto adds additional flavor and color to this hearty spring soup. This was such a quick, satisfying meal, I know I’ll be serving it again and again. 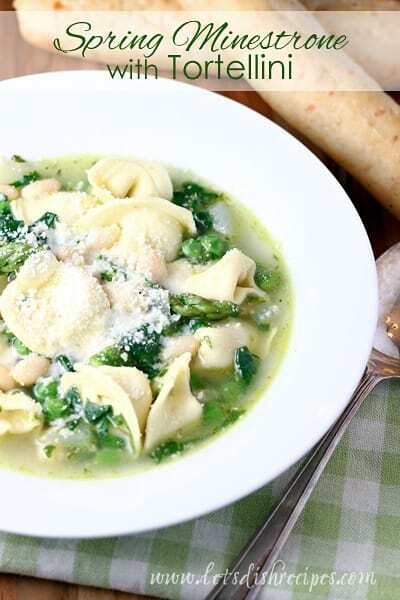 Be sure to save this Spring Minestrone with Tortellini recipe to your favorite Pinterest board for later. 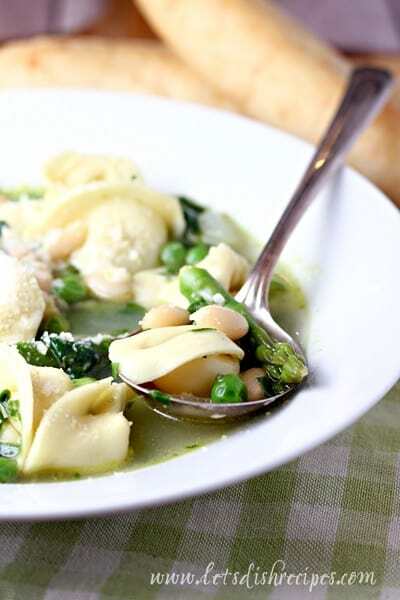 A pesto infused broth is loaded with spring vegetables, beans and tortellini in this light but filling soup. In a large Dutch oven, heat olive oil over medium heat. Add onions, celery and garlic and saute until vegetables are tender, about 5 minutes. Add broth to pot, then whisk in pesto. Stir in white beans. Bring to a simmer. Stir in asparagus, peas, spinach and any other vegetables you are using. Add tortellini to pot and simmer until pasta and vegetables are just tender, about 5 minutes. Just before serving, stir in fresh basil. 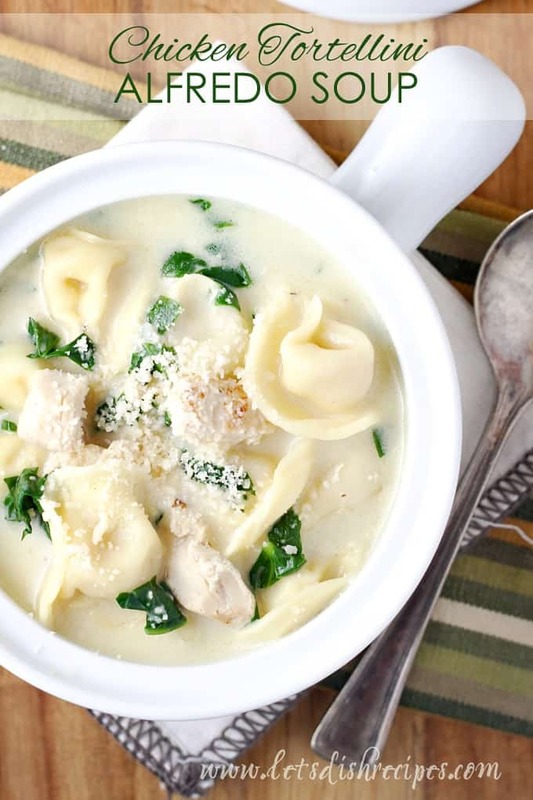 Ladle into bowls and top with Parmesan cheese. Thanks for sharing! This is a great weeknight meal. I added some pine nuts to give it a bit more flavor and crunch.